Opening hours: Most shops and offices are generally open from 09:00 to 18:00h during weekdays and from 09:00 to 13:00h on Saturdays. Some of the main shopping centers stay open until 22h during the week and from 13h to 21h on Sundays: BarraShopping is one of them. Tourist areas are home to many small shops which often stay open longer. In case of a late-night hunger, corner shops are scattered everywhere in Rioa and open 24/7. 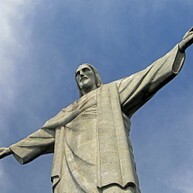 Standing on top of Corcovado Mountain, 710 meters above the sea level, Christ the Redeemer overlooks the metropolis below with outstretched arms. The statue, named one of the New Seven Wonders of the World in 2007, embraces the whole city, welcomes and protects, yet appears to keep a watchful eye on locals and visitors. 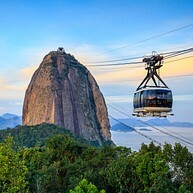 Venture up through the Tijuca Rain Forest to the top of the mountain for a closer look and be rewarded by fabulous views of Sugar Loaf Mountain, Copacabana, Ipanema, the Maracanã Stadium and the Serra do Órgãos mountain range. You can hike up to the statue or comfortably reach it by way of a twenty-minute tram/car ride. Timidly emerging from the waters of the Guanabar Bay, this 395 meters tall, egg-shaped mountain is one of tourists' favorite destinations in Rio de Janeiro. Check the weather forecast to be sure of going in a clear day, and venture up to the top of the mountain to enjoy an astonishing 360-degree view including that of the statue of Christ the Redeemer, the pristine beaches, the cityscape and the surrounding natural environment. The easiest and fastest way to reach the top of the mountain is by cable car but climbing is always an option. Held seven weeks before Easter, the Rio de Janeiro Carnaval (Carnival) is a five-day extravaganza of bright colors, energy and samba music. From Friday to the Ash Wednesday, the town comes to life and becomes the scene of breathtaking shows, samba school exhibitions and parades of floats. The Carnival is an ode to happiness and joy of living, an unforgettable experience that brings together locals and tourists alike. Come and join the dancing crowds in the streets! If you want to experience these spectacular festivities, be sure to book hotels and flights with good time since they run out extremely fast and often come at high prices. 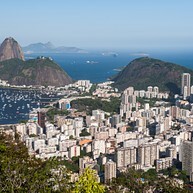 This popular lookout offers a beautiful view over Sugar Loaf Mountain and Corcovado. Given its proximity to the city, many photographers prefer to shoot from here rather than climb to the top of Corovado. 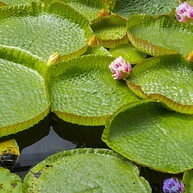 The two places, however, are very close and easy to visit on the same day. In its first 15 years of life, this outdoor festival has established itself as one of the most important events in the country, featuring some of the best performers in the world. Held in the city of Rio das Ostras, surrounded by golden sandy beaches, green hills and crystal-clear waters, the event offers 4 days of high-quality music. The State of Rio de Janeiro is world-renowned for its many breathtaking beaches. Copacabana is probably Rio’s most famous beach: located in the vibrant neighborhood of the same name, it is almost 6 km long, home of the New Year celebrations and official venue of the FIFA Beach Soccer World Cup. Tourists meet here all year round to play sports, sunbathe and dance till morning. Other beaches close to the center of the city are Ipanema and Leblon, both crowded with cafés, bars and restaurants, while the beaches of Barra da Tijuca, Prainha and Grumari are great for surfing and water sports enthusiasts. Nearby Búzios, a former fishing village, offers many spots to practice surfing, volleyball, scuba diving and windsurfing. Located on a small peninsular area, the village is fringed by many beautiful beaches, such as Geribá, Enseada de Manguinhos, Armação, Praia dos Ossos, Azeda and Ferradura. Approaching Rio from Búzios, you will find Arraial do Cabo, the perfect place for an unforgettable scuba diving experience through crystal-clear waters and rock formations teeming with tropical fish. The Aventureiro Sustainable Development Reserve is located in the southwest of the IIha Grande, Rio de Janeiro’s largest island, in the Angra Dos Reis Bay. The reserve, established in 1990, features extraordinary unspoiled nature, many animal species and is home to the ancient caiçaras fishing community. 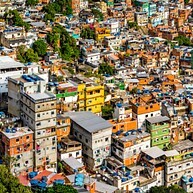 The favelas are Brazil's gloomily famous shanty towns. Once shelter for war veterans and freedmen, they have now become the symbol of social and economic inequalities in the country. A guided tour of these communities represents a unique opportunity to understand the locals' living conditions, their challenges and their daily struggles. If you have the chance, visit the famous favela named Rocinha to discover a whole different side of Rio de Janeiro. 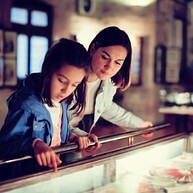 Visits are only recommended as part of a supervised guided tour, and may be unsafe to do on one's own. 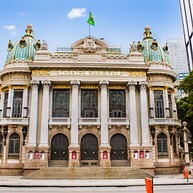 The twentieth-century Teatro Municipal magnificently overlooks Praça Floriano, contrasting against neighboring modern skyscrapers with its splendid facade. The theater is a symbol of architectural renovation promoted by the early 1900s republican regime, and is inspired by Paris of that period. Its luxurious interiors are decorated with statues, paintings and frescoes. You can attend one of the many shows or book a guided visit. Considered a must see in Rio de Janeiro, the Escadaria Selarón is not an ordinary staircase, but rather the life's work of a Chilean painter named Jorge Selarón, his odd obsession and his romantic homage to the city that adopted him. 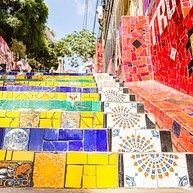 The 'Escaderia' is made up of 250 steps and over 2000 tiles: stretch your legs and get ready to climb an astonishing cascade of colors. Former property of the famous Brazilian landscape architect and artist Roberto Burle Marx, the residence and its 100-acre gardens house an extensive exhibition synthesizing the artist's genius, ideals and innovation. The large number of plant species, their diversity and a revolutionary mix of nature and art, make this collection one of the most important and entrancing in the world. When visiting the country of samba, why not put your dancing shoes on and try a few moves yourself? Rio's samba schools are active participants in the city's Carnival parades, competing to be crowned champions each year. Does watching samba dancers during the Carnival inspire you? Then don't be afraid to hit the streets and join them to express your own rhythm. One of the most famous samba schools of the city is called Mangueira, founded in 1928 and a 19-time Carnival champion. Hang gliding really is one of the best experiences the city has to offer. Take flight from one of the many hills surrounding Rio de Janeiro and glide smoothly through the gentle Brazilian wind. 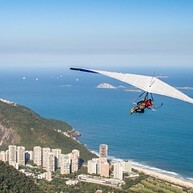 There are different companies offering hang gliding in Rio de Janeiro, and even if the place of departure may change, all routes fly over the most important sights and attractions of the city. The National Historical Museum in Rio de Janeiro is renowned for the quality of its exhibitions and its ability to chronologically and interactively present the history of Brazil. Six permanent and one temporary exhibition will guide you from the prehistoric era to the present day, using both historical finds and multimedia resources.